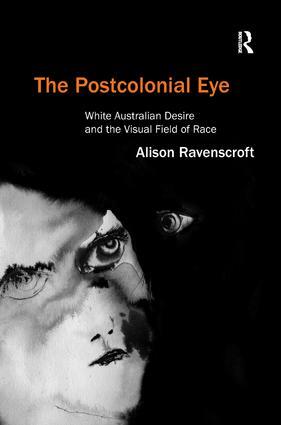 Informed by theories of the visual, knowledge and desire, The Postcolonial Eye is about the 'eye' and the 'I' in contemporary Australian scenes of race. Specifically, it is about seeing, where vision is taken to be subjective and shaped by desire, and about knowing one another across the cultural divide between white and Indigenous Australia. Writing against current moves to erase this divide and to obscure difference, Alison Ravenscroft stresses that modern Indigenous cultures can be profoundly, even bewilderingly, strange and at times unknowable within the terms of 'white' cultural forms. She argues for a different ethics of looking, in particular, for aesthetic practices that allow Indigenous cultural products, especially in the literary arts, to retain their strangeness in the eyes of a white subject. The specificity of her subject matter allows Ravenscroft to deal with the broad issues of postcolonial theory and race and ethnicity without generalising. This specificity is made visible in, for example, Ravenscroft's treatment of the figuring of white desire in Aboriginal fiction, film and life-stories, and in her treatment of contemporary Indigenous cultural practices. While it is located in Australian Studies, Ravenscroft's book, in its rigorous interrogation of the dynamics of race and whiteness and engagement with European and American literature and criticism, has far-reaching implications for understanding the important question of race and vision.